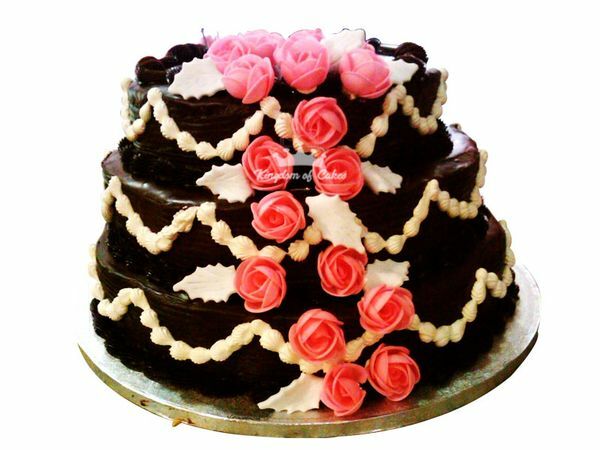 Brunette sea waves covered three-tiered heavy cream frosted Wed in Orchid Garland Wedding Theme Cake baked with the idea of orchid fragrance around spread across the wedding venue, in the hearts of the couple, happiness around for the new families attached together like an orchid hair accessory garland. Just how a bride wears the tiara of pride, happiness, and love. Even the bride wouldn’t control in to have a bite in between the photoshoots.